Greetings friends! We had a fun weekend full of summer festivities. 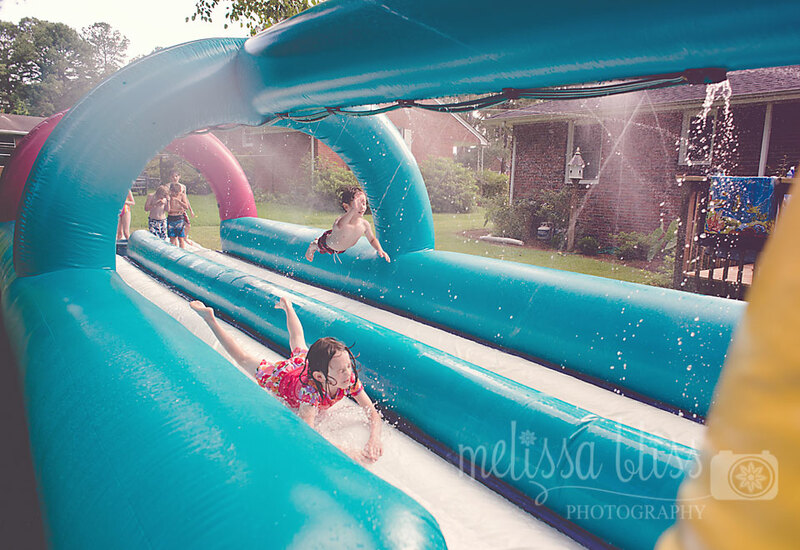 Saturday we had a wet and wild birthday party for my big girl who is now 8 year old! 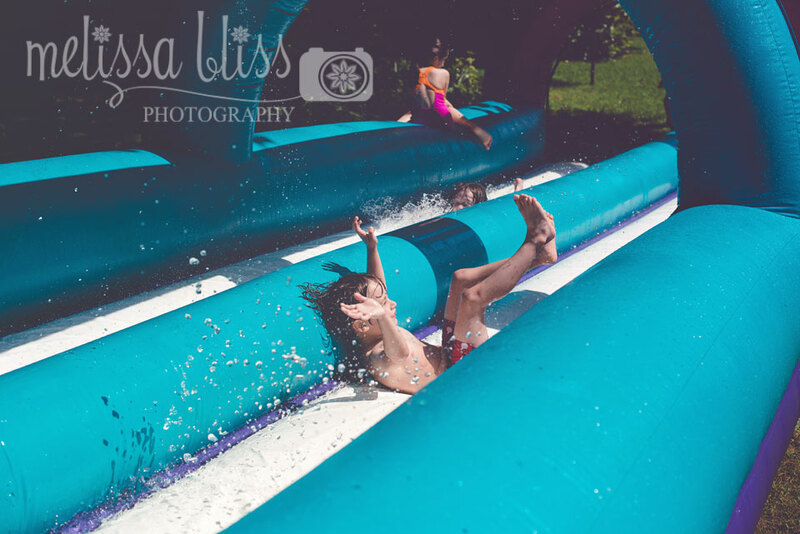 We rented a giant slip and slide and the kids all had a blast. It was so much fun! Sunday we hit the pool at Nana's house for the first time this season. The kids swam like fish all day. It was a great summer weekend, and I'm looking forward to more of them. Here are a few pics from the party on Saturday. 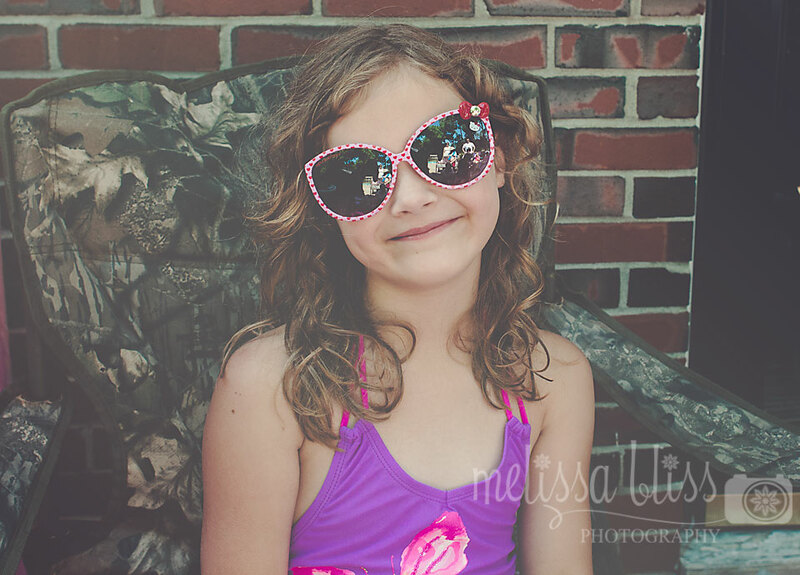 I can't believe my girl is 8 already. My how time flies! I LOVE the first shot with the reflection in the glasses! Amazing! You're an amazing photographer! Love it! What great fun! These are AWESOME!!!! 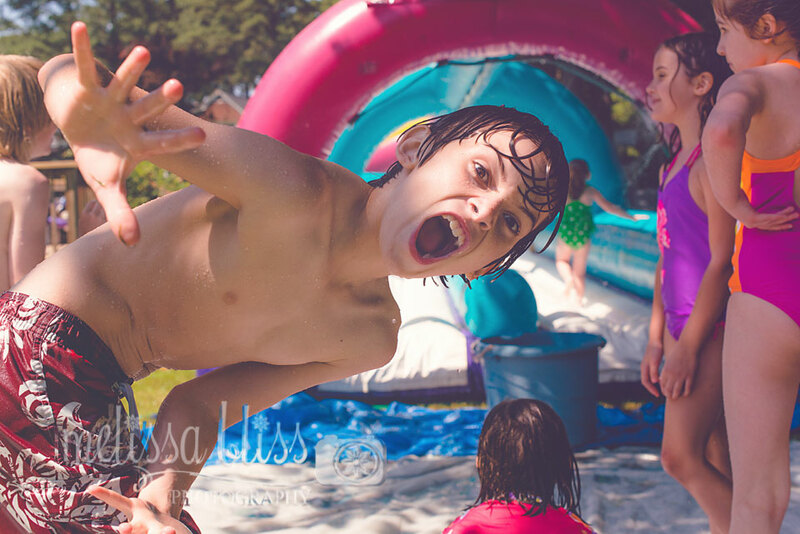 You caught some really great action shots but the mom in me held my breath for a second. :) Happy Birthday to her!!! Happy birthday to your big 8 year old!!! What a fun celebration! Oh my gosh! What a wonderful birthday! 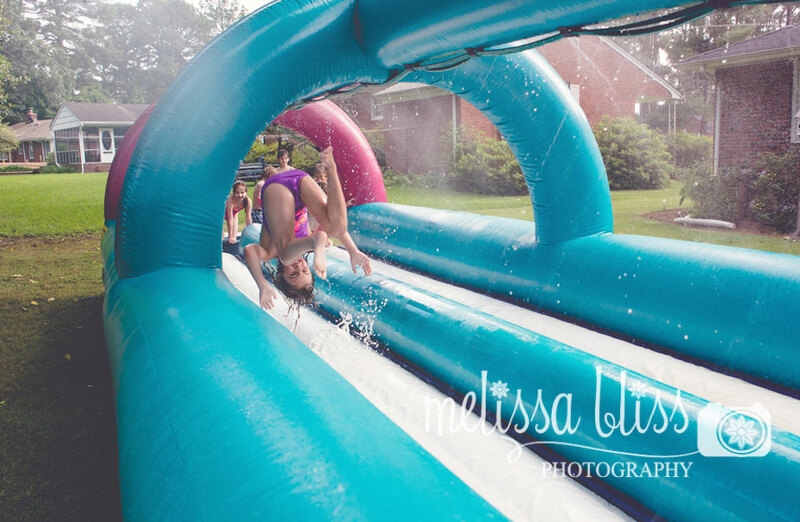 This looks like so much fun! Happy Birthday cutie! Gorgeous photos! 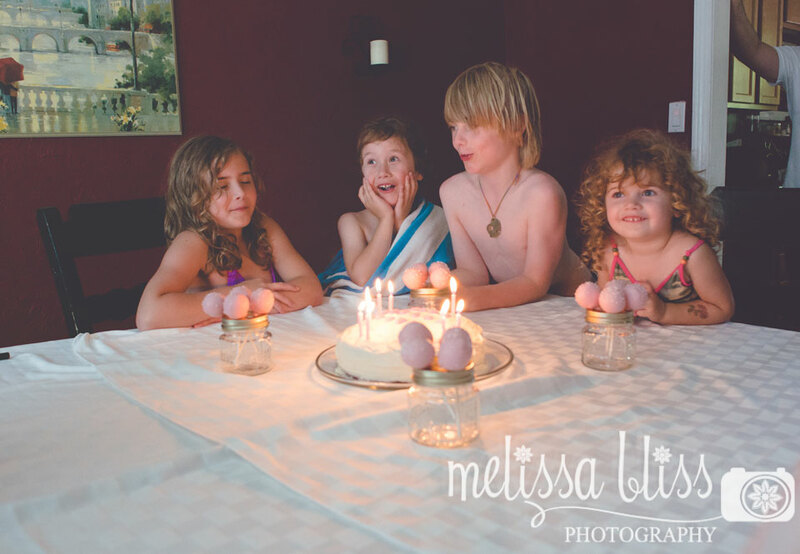 I love the second shot - it captures the excitement of being a kid! It almost makes you feel as if you're one of them in that moment. Great post! Have a wonderful week & blessings to you! Looks like a wonderful party. So much fun! What awesome action shots!! I love how you captured the him mid air! Looks like a wonderful day!! I love that first shot, it's just gorgeous!